Columbia’s Outdry Ex Diamond Down Insulated Jacket (Photo: Michela Rosano/Canadian Geographic). Have you heard the one about the guy who refused to ditch his old winter coat? The one he bought in London, England, almost 10 years ago? The one that was really best suited to an English autumn, not a Canadian winter? Have you heard about how, when the snow and wind whipped into Ottawa, he insisted on layering a sweater and a fleece under said coat? Can you imagine how difficult it was for that guy to move his arms? Or carry a backpack? Or do anything more active than walk — sorry, waddle — the frigid streets of the capital? Yes, that guy was me, but I’m happy to say that my dogged faith in that threadbare garment has ended, thanks to Columbia’s Outdry Ex Diamond Down Insulated Jacket, which I’ve been testing since December. Here’s why it’s now my go-to winter jacket. This jacket is made to shed moisture. 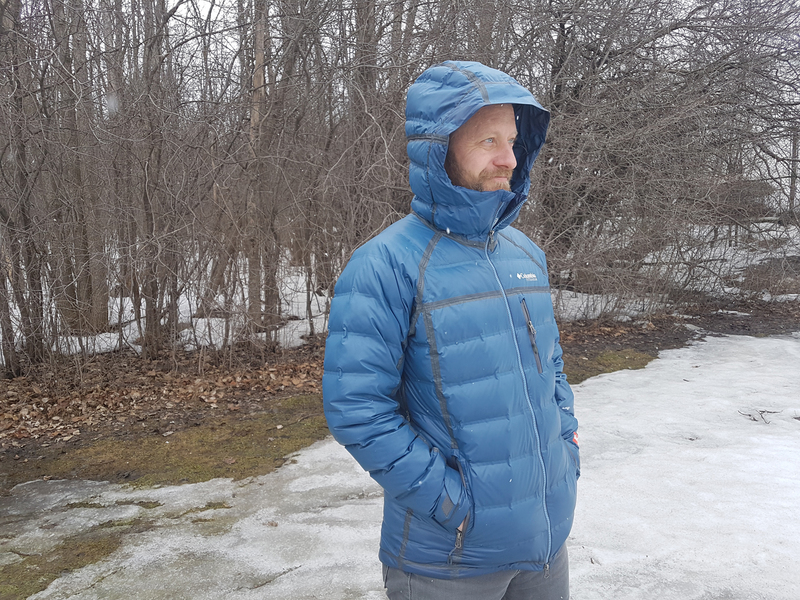 The OutDry Extreme waterproof-breathable shell kept me dry in snow and rain, and the 800 fill-power goose-down insulation kept me toasty on days when the mercury dipped to the mid –30 C range, even with nary more than a T-shirt on underneath. See you later, sweater! Adieu, fleece! Let’s just say that when no less than three complete strangers separately approach you within an hour on a frigid day in Old Montreal to tell you they love your jacket and ask where you got it, you’ve got the style thing locked down. Still, before I put the jacket on for the first time, I was vain enough to worry that it would look too puffy, but I needn’t have been concerned. I’m chalking it up to what Columbia calls its active fit (“a body-skimming fit with end-use mobility in mind”), but the jacket’s cut was perfect for my 190-pound frame. Whether I was on a winter hike in Gatineau Park (with a backpack!) or skating on the Rideau Canal (with newly mobile arms allowing me to clasp my hands behind my back! ), the jacket gave me the freedom of movement I’d so sorely lacked with my old coat. There are many, including the adjustable snap-back powder skirt, the drawcord-adjustable hem, the contoured sleeve cuffs that cover more of the top of your hand, the two-way zipper underarm venting (which has allowed me to wear the jacket in balmier weather) and (if you’re like me) a must-have interior pocket. I have only two. 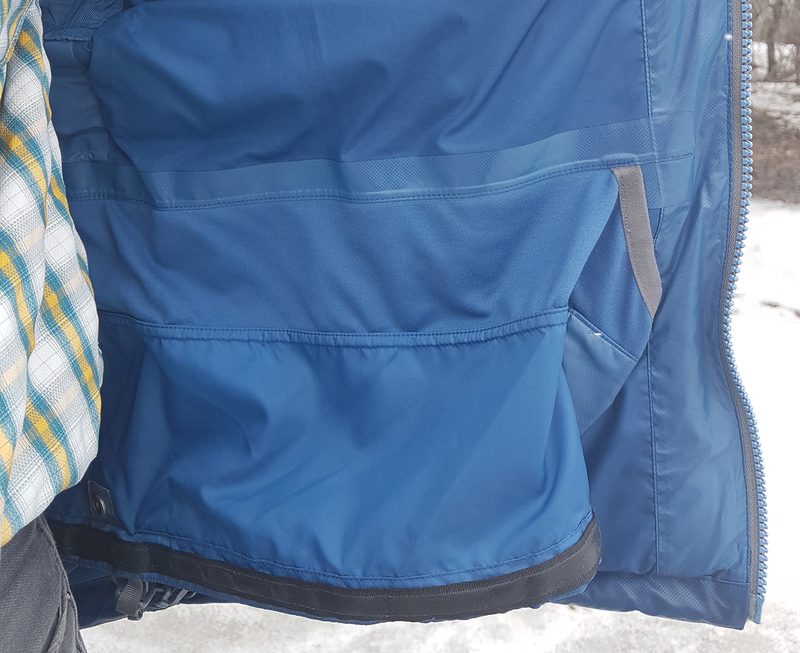 After about three months of use, the jacket’s two-way front zipper still occasionally sticks at the bottom. A quick bit of fiddling sets it straight, but it can be frustrating. The Velcro closures on the cuffs also seem to have lost their stickiness quickly, forcing me to pull them tighter to get to the part of the closure that hasn’t been used as much. Pockets: 1 external chest pocket with zipper, 1 ski-pass pocket, 2 hand pockets with zipper, 1 interior security pocket.